Earlier in the week, Electric Fields in Scotland recently announced Mercury Prize winner Dizzee Rascal as the second headliner for 2017, with Band of Horses, Glass Animals, Peter Hook & The Light, Kate Tempest, Car Seat Headrest, Real Estate, British Seapower, Anna Meredith, This Is The Kit, Aldous Harding, Marnie, Sacred Paws, Savage Mansion, Future Get Down, The Cut, The Vegan Leather, The Calm Fiasco, Nieves, 13 Crowes and Tiderays also appearing. They also revealed their electronic line up led by Glasgow’s Jackmaster, headlining the Sneaky Petes stage with Artwork, Denis Sulta, Lord of the Isles and Space Dimension Controller also announced. They join the previously announced Frightened Rabbit (Friday night headline), The Jesus and Mary Chain, Arab Strap, Crash Club, And Yet It Moves, and Brat and the Bonemen. 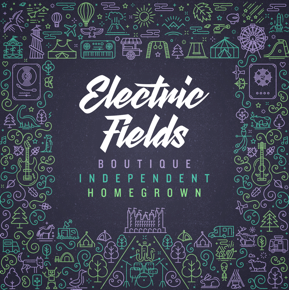 Returning to the grounds of the 17th Century Drumlanrig Castle in Dumfries & Galloway for its fourth outing, Electric Fields possibly offers its most diverse musical line-up to date with a weekend of music, food and entertainment with an intimate, community atmosphere. As well as the musical lineup, the festival will this year be expanding its food and drink offering with a curated Food Village, and its own Ale and Craft Beer Festival. This year will also feature spoken word curated by Scotland’s Neu! Reekie! and comedy, film and Q&As from some very special guests. For the young ones the “Our Kids Electric” area returns with a whole host of entertainment and workshops and and adventure playground.